Adlai Stevenson. Adlai on helicopter. 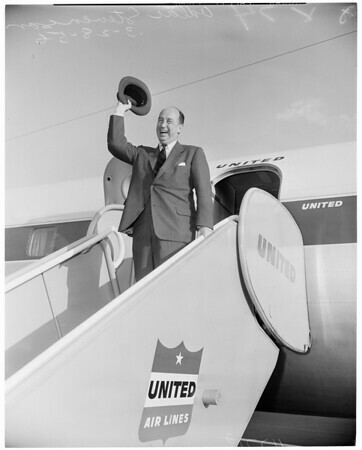 Crowd shots and Adlai on mike at International Airport from Chicago by United Airlines."